Jury: The right to serve on a jury is lost upon conviction of a felony and restored automatically after seven years (unless the person is incarcerated). Conn. Gen. Stat. § 51-217(a)(2). A pardon will relieve this disability earlier. A permit to carry a revolver or a pistol is prohibited to persons convicted of a felony or adjudicated delinquent for a “serious juvenile offense.” See Conn. Gen. Stat. §§ 29-28(b), 29-32 (revocation of permit); see also § 53a-217(a) (felony possession of firearm). See Conn. Gen. Stat. § 29-36f(b) (denial of certificate of eligibility to purchase a pistol or revolver). Firearms rights can only be restored through pardon. Pardons are issued by the Board of Pardons and Paroles, an autonomous state agency with administrative support provided by the Department of Correction. Conn. Gen. Stat. § 54-124a(f); http://www.ct.gov/doc/bopp. 2 The Board consists of ten full-time and five part-time members appointed by the Governor, with the advice and consent of both houses of the General Assembly. Conn. Gen. Stat. § 54-124a(a). The Governor appoints the chair. § 54-124a(a). Five members consider pardon applications exclusively, seven members consider paroles and the chair does both. Id. § 54-124a(a). The Governor has limited power to grant reprieves after conviction. Conn. Const. art. 4, § 13. See www.ct.gov/doc/bopp for information about Board policies and procedures. See also OLR Research Report No. 2007-R-0533(“Board of Pardons and Paroles”), available at http://www.cga.ct.gov/2007/rpt/2007-R-0533.htm. The Board offers two types of pardon: an absolute or “expungement” pardon, and a “provisional” pardon. Conn. Gen. Stat. § 54-130a(b). See generally OLR Research Report No. 2007-R-0561 (“Pardons and Provisional Pardons”), available at http://www.cga.ct.gov/2007/rpt/2007-R-0561.htm. Effective January 1, 2015, the Board also offers a “Certificate of Rehabilitation” (COR),3 which is functionally and procedurally interchangeable with a provisional pardon – with the one significant difference that a Certificate of Rehabilitation is available from the Court Support Services Division (CSSD) to individuals under the court’s supervisory jurisdiction. Conn. Gen. Stat. § 54-130a(b); P.A. 14-27 § 3(a) (2014). By statute, both a provisional pardon and a COR share the same eligibility requirements, offer the same relief, and are subject to expansion and revocation under the same circumstances and to the same effect.4 A COR must be styled either a “certificate of employability” or a “certificate of suitability for licensure,” or both, depending on the scope of relief afforded. § 54-130e(b). Governor Malloy’s administration (2011 – ) has taken the position that it will no longer issue provisional pardons, and will grant CORs instead. Source: Board of Parole & Probation. May be sought five years after conviction for felonies, three for misdemeanors. Eligibility period may be waived in “extraordinary circumstances.” Persons convicted under federal law or the laws of another state are ineligible for an absolute pardon. Conn. Gen. Stat. § 54-130a(c) (referring to jurisdiction over crimes “against the state”). May be sought at any time after sentencing, if (1) the person was convicted of a crime in Connecticut or another jurisdiction and resides in the state (2) the relief in the provisional pardon may promote the public policy of rehabilitating ex-offenders through employment and (3) the relief is consistent with the public’s interest in safety and protecting property. Id. §§ 54-130e(a)(2), (c), (d). Individuals convicted under federal law or the law of another state are eligible for a provisional pardon or Certificate of Rehabilitation if they reside or do business in the state. Relieves all legal disabilities, including those relating to employment and licensure, and results automatically in “erasure” of court records relating to the offense. Conn. Gen. Stat. §§ 54-142a(d), (e) (see Part IIB below for effect of erasure). [Provisional pardon] relieve[s] an eligible offender of barriers or forfeitures by reason of such person’s conviction of the crime or crimes specified in such provisional pardon. Such provisional pardon may be limited to one or more enumerated barriers or forfeitures or may relieve the eligible offender of all barriers and forfeitures. No provisional pardon shall apply or be construed to apply to the right of such person to retain or be eligible for public office. Id. § 54-130e(b). 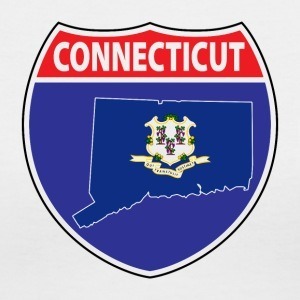 “Barriers” and “forfeitures” are defined as mandatory automatic collateral penalties,5 so that the effect of a provisional pardon seems to be to remove the mandatory barriers and allow individualized consideration under the standards set forth in Connecticut’s nondiscrimination statute. See Part III, infra. A provisional pardon does not erase the record of the conviction of the offense, or relieve an obligation to disclose the existence of the conviction. A provisional pardon “merely states that the applicant is employable, making it illegal for the employer to deny employment based on the applicant’s criminal record alone.” http://www.ct.gov/doc/lib/doc/pdf/PardonFAQ.pdf. See also Conn. Gen. Stat. § 54-124e(a)(6) (it is a “form of relief to barriers or forfeitures to employment or the issuance of licenses”); Part III, infra (describing prohibitions on employment and licensing discrimination based on a conviction for which provisional pardon has been granted). Provisional pardon may be enlarged at any time. Id. § 54-124e(h). It is considered temporary while a person is on probation or parole, and may be rescinded in the event of a violation. Id. § 54- 124e(g). Legislation enacted in 2014 requires that a provisional pardon, temporary or otherwise, must be revoked upon conviction for a subsequent crime. Id. § 54-124e(k) (as amended by P.A. 14-27 (2014)). An application to the Board for a Pardon must describe the offense and reason for seeking a pardon. Instructions are available at http://www.ct.gov/doc/lib/doc/PDF/form/PardonClemencyInstructions.pdf. Application forms for both full and provisional pardons are available at http://www.ct.gov/doc/lib/doc/PDF/form/PardonFormerOffender.pdf. See also Frequently Asked Questions: http://www.ct.gov/doc/lib/doc/pdf/PardonFAQ.pdf. According to the Board, 35% of applications received in 2010 were denied without hearing (about 25% in 2009); about 26% of applications in 2010 (and 22% in 2009) went to hearings held eight times a year in a courtroom at alternating geographic locations throughout the state. See http://www.ct.gov/doc/lib/doc/PDF/PDFReport/PardonsCounts.pdf; Gen. Stat. § 54- 124a(k) (hearings required at least once every three months). The pardon process takes about one year. See http://www.ct.gov/doc/lib/doc/pdf/PardonFAQ.pdf. Hearing procedure: The board sits in panels of three, and must have a hearing at least once every three months. Conn. Gen. Stat. §§ 54-124a(e), (k). Applications are sent to the States Attorney, who may appear. Conn. Agencies Regs. § 54-124a(j)(2)-6. Board members assigned to pardon hearings must issue written statements containing the reasons for rejecting any application for a pardon. Conn. Gen. Stat. §§ 54-124a (j)(3); Conn. Agencies Regs. § 54-124a (j)(3)-1. Applicant generally are expected to appear. Expedited proceeding for nonviolent crimes: The chair, in consultation with the executive director, is authorized by Conn. Gen. Stat. § 54-124a(j)(2) to promulgate rules to dispense with a hearing in cases of nonviolent crimes. See Conn. Agencies Regs. §§ 54-124a (j)(2)-1a through 8a (expedited pardons process). The waiting period for seeking pardon of these felonies without a hearing is five years for a felony and three for a misdemeanor. Conn. Agencies Regs. § 54-124a(j)(2)-6a. At least two members of the Board must agree to grant a pardon without a hearing, and have discretion to require a full hearing depending upon the seriousness of the offense and other considerations. Id. § 54-124a (j)(2)-5a. Though provisional pardons and CORs are functionally identical, a separate application exists for each. Unlike the provisional pardon application, the COR application does not require disclosure of criminal history, and the Board bears the burden of acquiring an applicant’s criminal history report. Unlike a full pardon, applications for a provisional pardon or COR are reviewed on a paper record. The entity that initially issues a COR (the Board or CSSD) retains the exclusive authority to revoke the certificate or enlarge its scope. Id. Upon revocation, the COR must be surrendered to the entity that issued it. Id. Applications for a COR from the Board are available at http://www.ct.gov/bopp/lib/bopp/BOPP_Certificate_Employability_Application_UPDATED.pdf; applications for a COR from the CSSD certificates are available at http://www.jud.ct.gov/WebForms/forms/AP187.pdf. The number of pardon applications has soared in recent years, from 393 in 2006 to 1555 in 2016. According to Board staff, about half of all applications are from misdemeanants. More than half of those who applied were granted a full hearing, and most of those whose cases were heard were pardoned. The overall grant rate has increased in recent years, from 47% in 2013 to 62% in 2016. See http://www.ct.gov/bopp/cwp/view.asp?a=4331&q=550204. Commutations are infrequent because state courts have general sentence modification authority, although commutations have occasionally been granted to make people eligible for parole. Source: Connecticut Board of Pardons and Paroles, http://www.ct.gov/bopp/cwp/view.asp?a=4331&q=550204. Multiple charts account for changes in statistical reporting by the Board. Conn. Gen. Stat. § 54-142a(d) provides that where an individual is granted an absolute pardon, “all police and court records and records of the state’s or prosecuting attorney pertaining to such case [are] erased.” Thereafter, “any person [or law enforcement agency] charged with retention and control of such records,” may not disclose to anyone (including law enforcement) any information pertaining to the charge erased and, upon request of the pardoned individual, must “cause the actual physical destruction of [all court] records.” Conn. Gen. Stat. § 54-142a(e); see also Doe v. Manson, 438 A.2d 859 (Conn. 1981) (holding not all prison records are “court records” subject to required destruction under § 54-142a). Although such physical destruction may not occur “until three years have elapsed from the date of the final disposition of the criminal case to which such records pertain,” upon erasure, the individual is “deemed to have never been arrested … with respect to the proceedings so erased and may so swear under oath.” Conn. Gen. Stat. § 54-142a(e); see also State v. Van Heck, 651 N.W. 2d 174, 177-79 (Mich. Ct. App. 2002) (describing effect of a Connecticut pardon). The erasure provisions of Conn. Gen. Stat. § 54-142a apply to several separate deferred adjudication programs. See Gen. Stat. § 29-33(h) (sale or transfer of pistols and revolvers); Conn. Gen. Stat. § 17a-692 et seq. (Suspended Prosecution or Conviction and Probation and Court-Ordered Treatment for Drug or Alcohol Dependency); § 46b-38c (Family Violence Education Program); § 53a-39a (Alternate Incarceration Program); § 53a-39c (Community Service Labor Program); § 54-56e (Accelerated Pretrial Rehabilitation); § 54-56g (Pretrial Alcohol Education) and § 54-56i (Pretrial Drug Education Program); § 54-56j (Pretrial School Violence Prevention Program). Juveniles may petition for “erasure” of records. Conn. Gen. Stat. § 46b-146. Erasure is immediate when a case is dismissed and is entered 13 months after the entering of a nolle prosequi or prosecutorial inaction. , § 46b-133a(b). Before seeking erasure, juvenile delinquents must wait two years for less serious offenses and four years for more serious offenses; good cause waivers are available. Id. § 46b-146. In addition, the juvenile must be at least age 17 and have no subsequent convictions or pending charges. Id. A person may deny the existence of an erased court record. Id. Under Conn. Gen. Stat. § 54-142a(e), any person whose criminal records have been erased pursuant to that provision or youthful offender statutes, “shall be deemed to have never been arrested within the meaning of the general statutes with respect to the proceedings so erased and may so swear under oath.” See also Gen. Stat. § 31-51i(b), limitations on employer inquiries, below. In Martin v. Hearst, the federal court of appeals held that publishers could not be held liable in damages for refusing to remove from their internet site accounts of a woman’s arrest that had been erased, and that the “deemer” clause “does not purport to change history.” See Martin v. Hearst Newspapers, Docket No. 13-3315 (2d Cir., Jan. 28, 2015) The court of appeals explained that the Erasure Statute was intended to operate in the context of the justice system, to prohibit disclosure by government agencies, to bar reliance on the arrest in any subsequent criminal proceeding, and to permit the person arrested to swear under oath that the arrest never occurred. However, it was not intended to create any duties on the part of private parties (notably including publishers) or create a cause of cause of action against them. With limited exceptions relating to law enforcement and certain mortgage-related licenses, public employers and licensing authorities may not disqualify a person automatically on the grounds of a prior conviction but must consider: 1) the nature of crime and its relationship to the job; 2) information pertaining to rehabilitation; and 3) time elapsed since conviction. Conn. Gen. Stat. §§ 46a-80(a) and (c).7 If a conviction of a crime is used as a basis for rejection of an applicant, such rejection shall be in writing and specifically state the evidence presented and reasons for rejection. § 46a-80(d). A copy of such rejection shall be sent by registered mail to the applicant. “In no case may records of arrest, which are not followed by a conviction, or records of convictions, which have been erased, be used, distributed or disseminated by the state or any of its agencies in connection with an application for employment or for a permit, license, certificate or registration.” § 46a-80(e). See Jennifer Leavitt, Walking a Tightrope: Balancing Competing Public Interests in the Employment of Criminal Offenders, 34 CONN. L. REV. 1281 (2002). The public policy in the statute is that “the public is best protected when criminal offenders are rehabilitated and returned to society prepared to take their places as productive citizens and that the ability of returned offenders to find meaningful employment is directly related to their normal functioning in the community.” Conn. Gen. Stat. § 46a-79. “No employer or employer’s agent, representative or designee shall deny employment to a prospective employee solely on the basis that the prospective employee … had a prior conviction for which the prospective employee has received a provisional pardon or certificate of rehabilitation …” Conn. Gen. Stat. § 31- 51i(d). Discharge of an employee on the same basis is similarly prohibited. See id. § 31-51i(e). In 2014, new legislation augmented the law governing discrimination in public employment and licensing, see supra, to provide that “the state or any of its agencies shall give consideration to a provisional pardon . . . or a certificate of rehabilitation . . . , and such provisional pardon or certificate of rehabilitation shall establish a presumption that such applicant has been rehabilitated.” § 46a- 80(c) (as amended by P.A. 14-27 (2014)). No employer shall inquire about a prospective employee’s prior arrests, criminal charges or convictions on an initial employment application, unless (1) the employer is required to do so by an applicable state or federal law, or (2) a security or fidelity bond or an equivalent bond is required for the position for which the prospective employee is seeking employment. Conn. Gen. Stat. § 31-51i(b) (as amended by HB 5237 (2016)). The new law covers “any person engaged in business who has one or more employees, including the state or any political subdivision of the state.” § 31-51i(a). Except for a position for which any provision of the general statutes specifically disqualifies a person from employment by the state or any of its agencies because of a prior conviction of a crime, no employer, as defined in section 5-270, shall inquire about a prospective employee’s past convictions until such prospective employee has been deemed otherwise qualified for the position. It is unclear whether this provision remains operative following HB 5237’s enactment. shall contain a notice, in clear and conspicuous language: 1) That the applicant is not required to disclose the existence of any arrest, criminal charge or conviction, the records of which have been erased . . . 2) that criminal records subject to erasure . . . [include] records pertaining to a finding of delinquency . . . , an adjudication as a youthful offender, a criminal charge that has been dismissed or nulled, a criminal charge for which the person has been found not guilty or a conviction for which the person received an absolute pardon, and 3) that any person whose criminal records have been erased . . . shall be deemed to have never been arrested within the meaning of the general statutes with respect to the proceedings so erased and may so swear under oath. § 31-51i(d). No employer may discharge, “or in any manner discriminate against” any person solely because of a conviction, the records of which have been erased. § 31-51i(f). The portion of the employment application containing criminal history may be available to employer’s personnel department and, as necessary in certain circumstances, disclosed by broker-dealers or insured banks under FDIC requirements of background check. §§ 31-51i(g), (h). In an informal opinion dated October 31, 2008 (on file with author), the General Counsel, Administrative Office for U.S. Courts, opined that federal supervised release, as a penalty imposed separately from a prison sentence, is analogous to probation as opposed to parole. California forbids parolees from voting and takes a similar position regarding those under community supervision: In 2015 the Secretary of State restored voting rights to those on community supervision, agreeing with a 2014 state Superior Court decision that determined that supervision was distinct from parole. See Press Release, California Secretary of State, Secretary Padilla Ends Appeal of Scott v. Bowen Case (Aug. 4, 2014), http://www.sos.ca.gov/administration/news-releases-and-advisories/2015-news-releases- and-advisories/secretary-padilla-ends-appeal-scott-v-bowen-case/; Briefs and Orders in Scott v. Bowen at https://www.brennancenter.org/legal-work/scott-v-bowen. This reversed a 2011 directive issued by the previous Secretary of State that denied voting rights to those on community supervision because it was akin to parole. Until 2004, pardon power was exercised by an independent Board of Pardons, under Conn. Gen. Stat. § 18-26 (2003). The Board was staffed by a private practitioner under contract. The Board of Pardons restructured and merged into the Parole Board in July 2004. See Conn. Gen. Stat. § 54-124e. Both the Board and CSSD refer to the certificate as a “certificate of employability” on their website and in their applications. Though a certificate issued by CSSD may be revoked for a violation of probation or parole (as is the case with a certificate issued by the board), the statute governing CSSD-issued certificates is silent as to whether revocation of a CSSD-issued certificate is mandatory upon subsequent conviction as it is for board-issued certificates. However, the CSSD website states that “CSSD will automatically revoke any Certificate of Employability if you are convicted of any crime after you get a certificate.” See http://www.jud.ct.gov/CSSD/cert_emp.htm. A “barrier” is “a denial of employment or a license based on an eligible offender’s conviction of a crime without due consideration of whether the nature of the crime bears a direct relationship to such employment or license.” Id. § 54- 130e(a)(1). Direct relationship is defined to mean that the nature of the criminal conduct for which a person was convicted has a direct bearing on the person’s fitness or ability to perform one or more of the duties or responsibilities necessarily related to the applicable employment or license.” Id. § 54-130e(a)(2) (as amended by P.A. 14-27 (2014)). A “forfeiture” is “a disqualification or ineligibility for employment or a license by reason of law based on an eligible offender’s conviction of a crime.” Id. § 54-130e(a)(6). At some time in your past, you made a mistake. You were convicted of a crime, and you served your sentence or completed your probation or parole, and are now attempting to rebuild your life. hard-working, good person who has a ‘spot’ on your record that is holding you back. You sometimes live in fear that someone will discover your past and hold it against you. You’re afraid that you could lose a job that you love, that provides shelter and essentials for your family, or that your past becoming public knowledge could subject those you love to ridicule and persecution. You don’t apply for supervisory positions or promotions at your job because you’re afraid that a background check might turn up your past indiscretion, even if it was more than 20 years ago. You have a degree or advanced training, but can’t put it to work because of your record. It’s time to stop worrying about your past and DO something about it. . . .
An agency must consider these factors regardless of other law and even when another law purports to govern denying credentials due to lack of good moral character or suspending or revoking a credential due to a conviction.